Start your own weather forecast platform in minutes. 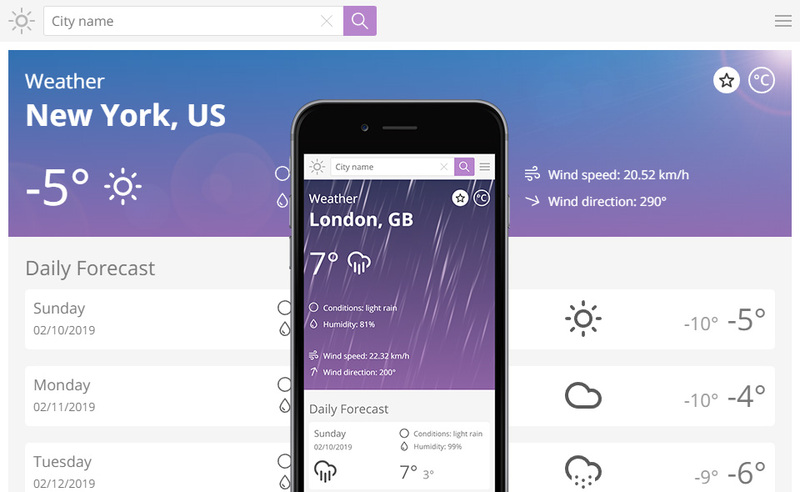 Keep your users up to date with the current weather conditions by offering them hourly and daily weather forecast, detailed weather evolution graphs, and other information. Start your own weather forecast website and have it running within minutes with basic server knowledge. Intuitive design with both white and dark modes, fully responsive and retina display ready. Check what's the weather now, the forecast for the next 5 days and the weather forecast evolution. Completely translatable into any language with localized search results, completely ready for any region. "Needed a weather forecast software for our guest house, phpMeteo was the solution we were looking for." "Awesome interface and complete functionality, got it working in 10 minutes, the support was very responsive." "I had to change the interface, super clean and well commented code, was a pleasure to work with it." Start your own Weather Forecast website for as low as $19.